We founded The Uncommon Pig Co. in 2011 with an ambition to raise rare breed, free range Berkshire pigs on our 500 acre dairy farm in South West England, where we have created a high welfare, free-ranging and stress-free environment for all our animals. 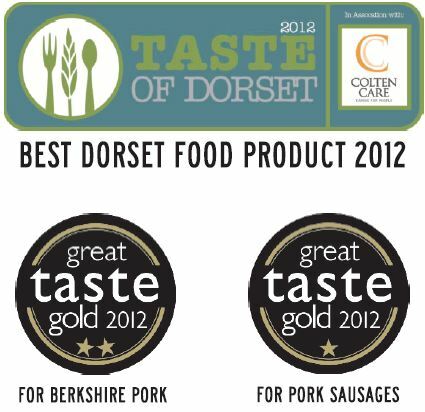 Since then we have not only been recognised with GOLD awards for our pork but we have also been awarded the title Best Food Product in Dorset and even presented to Her Majesty The Queen as part of her Jubilee Tour of Dorset! Our cows, who enjoy the outdoor life for as much of the year as possible, produce milk for award-winning farmhouse cheddar cheesemaker Barber’s of Ditcheat and are fed mainly on a forage-based diet. Our pigs are outdoor reared in paddocks with constant access to both their favourite wallow holes and warm straw-bedded pig huts. Just how they like it. Luke is a fourth generation dairy farmer and decided that the good temperament of the Berkshire pig would particularly suit our family farm (where we’re also raising four energetic boys to secure the next generation of young farmers!). 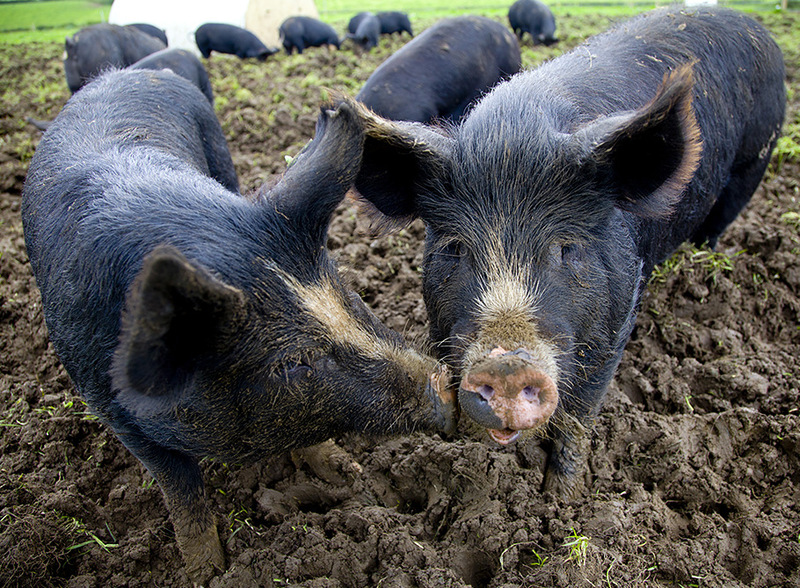 Our Berkshire pigs are kept in family groups and are free to wallow, root and forage. It is important to us that the abattoir is just a short-distance from our farm too, meaning minimum stress to the animals and therefore better quality meat. With small family farms declining, we are proud that our venture continues to grow. We support a scheme to encourage young people to consider a farming career, in fact two of our current team are agriculture students, which in turn helps to preserve knowledge, skills and a farming heritage for everyone.